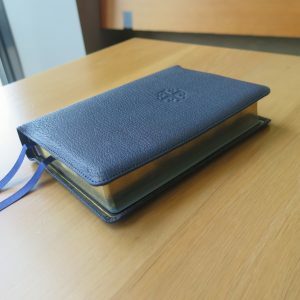 This is one very attractive Bible. The calfskin feels, smells, and looks nice. 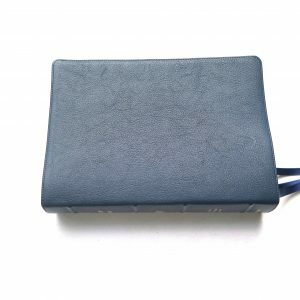 The calfskin cover is no second class citizen to the goatskin, but it does feel and look a little different. 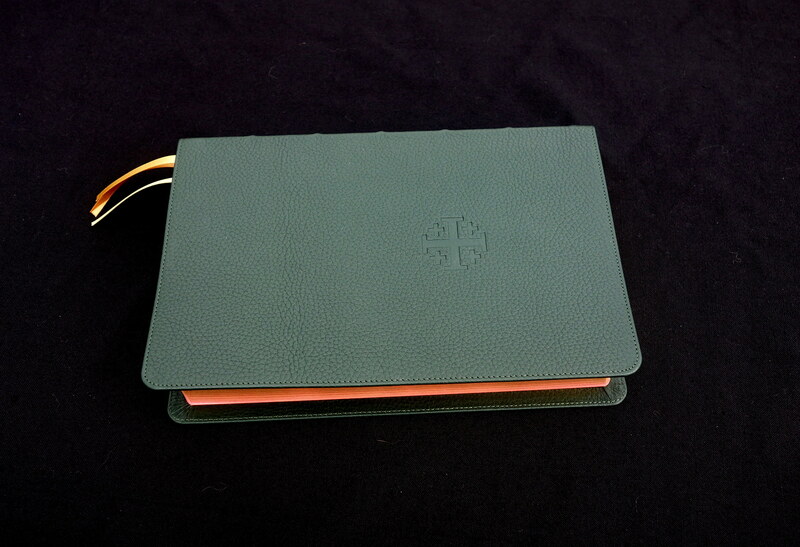 If you want a slightly firmer cover, or in my case green leather, this is the way to go. I’m glad I ordered mine! 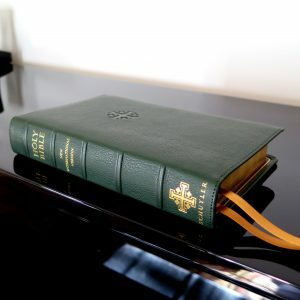 This is a terrific Bible! The text is larger enough for lifetime use, without looking like an elderly person’s Bible. The text is dark enough to help avoid eye strain. The paper is the best. So much better than the high glare paper most publishers use. There is almost no ghosting. Even though this is a red letter edition, the shade of red is the same as the chapter headings and verse references in the Quentels. 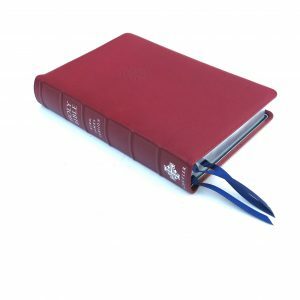 Unlike most other red letter Bibles, this one will not blind you in the first five minutes of reading. In certain lighting, the red often looks dark brown or black. 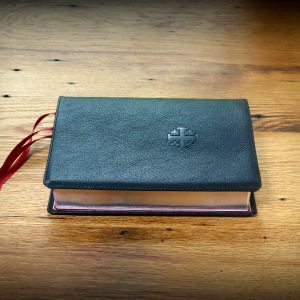 I noticed three or four pages where the red paragraphs are a little lighter than on the other pages, but it isn’t bad enough to complain about and certainly nowhere near as light as many pages in many other publishers’ Bibles. Also all red paragraphs were where they belonged in the columns- not out of place to the right or left, not sloping up or down. 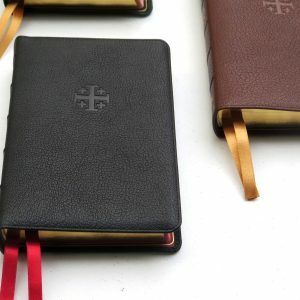 Everything about the print and the paper really is identical to the more expensive goatskin Quentels I have seen. 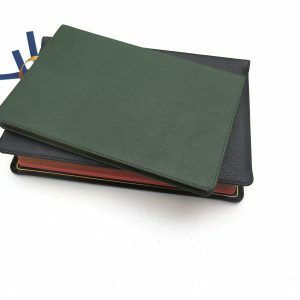 The green calfskin cover is very dark. 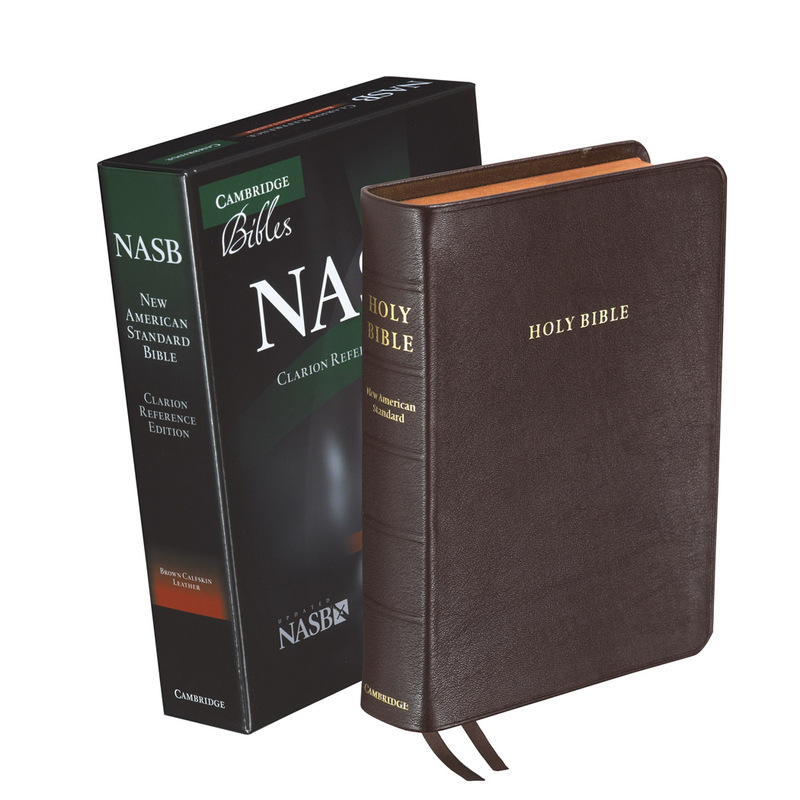 Mine usually looks black, but it is a black I like better than the shiny black covers on most Bibles. The brighter the light, the more green it looks. 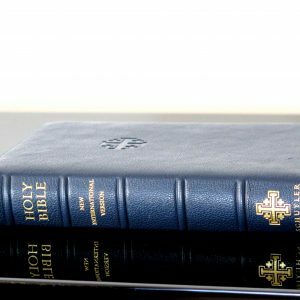 It is a beautiful Bible in every light. 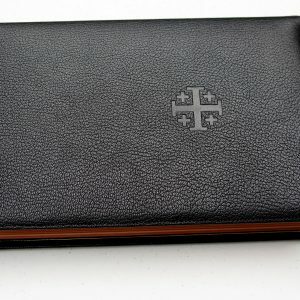 The calfskin is nice and thick, and slightly stiffer out of the box than the goatskin ESVs I have held. 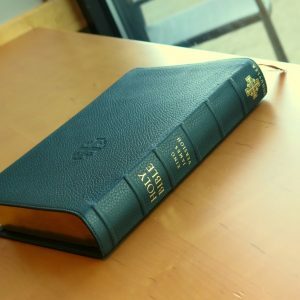 Everything about this Bible shows it was made to be read and enjoyed for a very long time. Schuyler is a publisher who backs up their words with their work. Some details not mentioned in the description are: the section headings in the gospels now include the references for parallel passages in the other gospels; between the concordance and the maps are five blank pages lined front and back with 36 lines; the concordance is 55 pages with 3 columns of very small print- but the print is very dark and encourages the reader to use this most valuable tool; and the place names on the maps are more readable than on the maps in the earlier edition of the ESV Quentel. 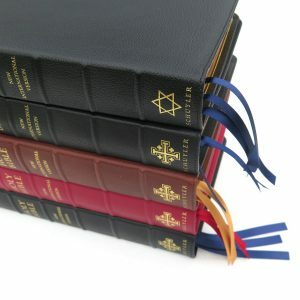 Evangelicalbible.com’s customer service is second to none. Their free shipping brought my Bible from Richmond to Chattanooga in 2 days.